Eat me! That's what your snack will be screaming at you once you cast up an assortment of chocolate, ice cubes and gelatin (not tacos) in the shape of the Merc with a Mouth, Deadpool! 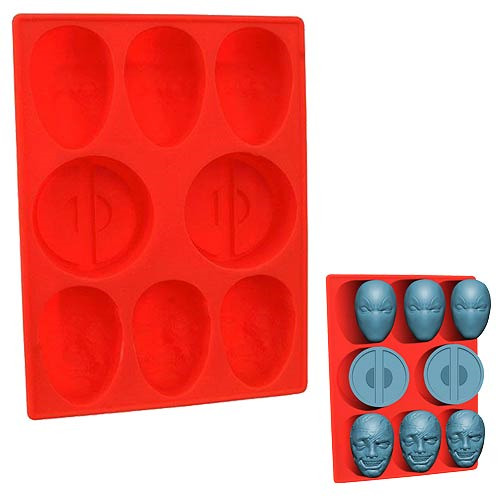 It's easy to crack wise when you add Deadpool to your diet, and this 6-inch long x 4-inch wide silicone tray lets you put Deadpool where your mouth is! Deadpool! Packaged in a full-color window box. Ice cubes measure approximately 2-Inches radius, Ages 8 and up.